On August 5, 2017, in front of his friends, family and community, my son will be having his Bar Mitzvah. As is custom in the Jewish religion, Nate will stand up in front of the people he loves and participate in an ancient coming of age religious ceremony indicating he is now an adult in the Jewish world. His grandparents, parents and older brother all had Bar or Bat Mitzvahs when they were 13. And, as Nate’s 13th birthday approaches, it’s finally almost his turn to enjoy the spotlight. Traditionally, a Bar Mitzvah requires a tremendous amount of preparation. Jewish children spend many years not-so-happily attending Sunday school to learn Hebrew, memorize prayers, and study Jewish history and laws. In the months leading up to the big day, you could expect a future Bar Mitzvah boy to spend 30-60 minutes every day studying, reading, writing and practicing. There are meetings with the Rabbi, bi-weekly practice sessions at the temple, dress rehearsals, suit-fittings, and more practicing. For the average almost thirteen-year-old kid it’s a lot of pressure and a whole lot of excitement. Nate, as you know, is not your average almost thirteen-year-old. His language delay is severe and he still works hard every single day to express himself. 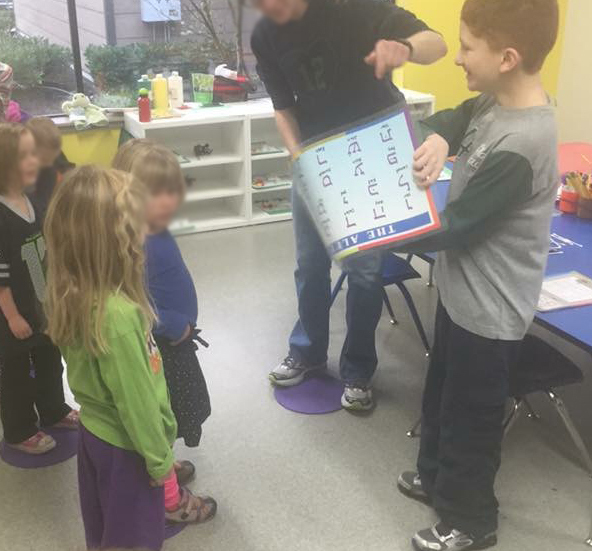 While he is learning to read and improving steadily, the progress is slow. He is a high-energy bundle of chaos who struggles to sit still and focus for even short bursts of time. I don’t want to brag, but his oppositional streak and glass-shattering shrieks are kind of the stuff of legends. Although he has attended Sunday School weekly for almost 10 years, Nate has never learned Hebrew and can’t recite any blessings. 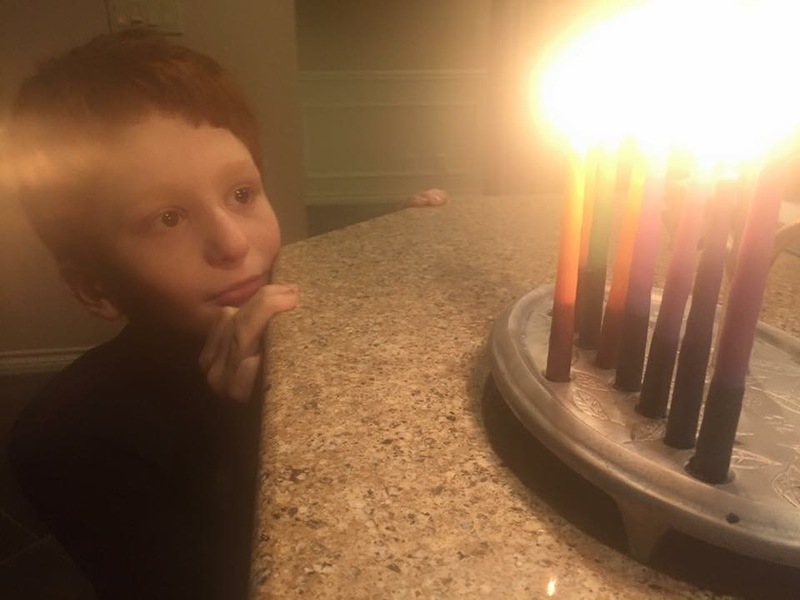 He can’t explain why we celebrate Chanukah, what the fringe is on the end of his prayer shawl, or why we don’t blow the candles out after we light them on Shabbat, the Jewish day of rest. He doesn’t understand the historical, religious, or spiritual significance of a Bar Mitzvah, or have a sense of why it’s important to our family that he has one. But on August 5, 2017, head covered in a yarmulke and shoulders draped in a tallit (prayer shawl), my son with a developmental disability will be having his Bar Mitzvah. Nate knows that he is Jewish. He has been hearing the prayers and melodies and blessings since he was in utero, and he impatiently corrects anyone who accidentally wishes him a Merry Christmas. He recognizes the ritual objects we use to pray and celebrate—things like candlesticks, a menorah and a dreidel—and he has a favorite Jewish song. He’s familiar with his fellow congregants, and when he arrives at Temple each week for Sunday School, he is greeted warmly by the adults and children he’s known for years. He loves Jewish foods like matzo ball soup and potato pancakes, and has a slightly unhealthy ambivalence towards Santa Claus. He’s a Jewish kid to his core, even if he can’t explain why. 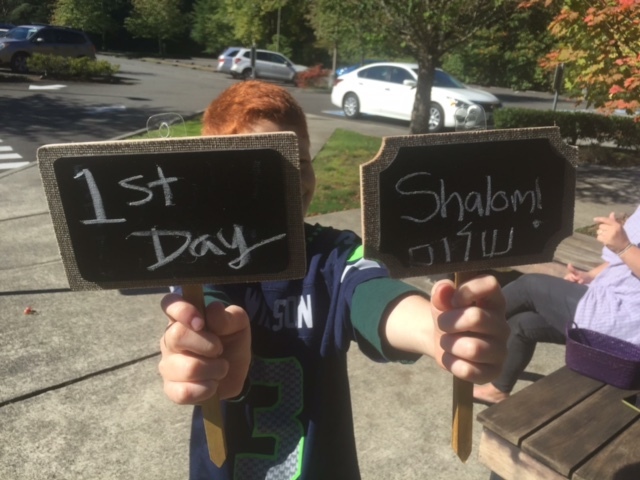 He recognizes the ritual objects we use to pray and celebrate—things like candlesticks, a menorah and a dreidel… He’s a Jewish kid to his core, even if he can’t explain why. We don’t know exactly what the service will look like, but the Bar Mitzvah we’re planning will be unique because Nate is unique. We’ll have almost a hundred guests join us that morning and, as with most things Nate-related, almost anything can happen. I know we will include some elements that you’d see at any Bar Mitzvah, like reading from the Torah and tearing into a fresh loaf of challah bread at the end, and it will also have certain adaptations and additions to make it more accessible to Nate. It’s unlikely he’ll memorize prayers or lead the congregation in chanting the blessings, but we will work hard in the next few months to find ways for him to shine. In the end, if he sits through the entire 45-minute service surrounded by people who love him—without asking for his iPad or declaring loudly that he’s ready to go home—I will consider it a success. If he learns the one prayer we’ve decided to help him focus on, it will be beautiful. No matter what happens, we will celebrate the child that he is and the man he’s on the cusp of becoming. We will shower him with love, and he will feel the glow of our pride. He will feel what his grandparents, parents and brother all felt before him. He will feel belonging, he will feel embraced and he will feel supported. On August 5, 2017, in front of his friends, family and community, my son will be having his Bar Mitzvah, and I couldn’t be more proud. Learn more about Bar and Bat Mitzvahs. Are you involved in a religious community? Share with us how your child with a disability has participated in a coming of age ritual or spiritual/religious celebration.